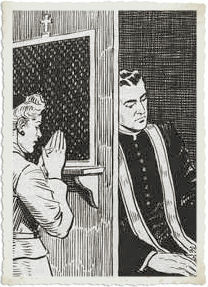 "In the same way, when we have fallen into any grievous sin, we must have recourse to the doctor, that is the priest; and to the remedy, that is confession." O Lord Jesus Christ, bless, I beseech Thee,Thy servant who has now ministered to me in Thy name. 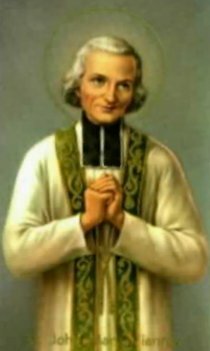 Help me to remember his good counsel and advice, and to perform duly what he has rightly laid upon me. And grant him the abundance of Thy grace and favor, that his own soul may be refreshed and strengthened for Thy perfect service, and that he may come at last to the joy of Thy heavenly kingdom. Who livest and reignest with the Father and the Holy Ghost, ever one God, world without end. Amen. P. J. Kennedy & Sons (New York) New Edition, Copyright, 1930, John Murphy Co.